When it comes to comfort and safety at sea nothing beats a multi hull boat and Sailfish Catamarans have proven the test of time. Since 1993 Darren Foster has been building these awesome boats and now leads the way in aluminium catamaran design and construction in Australia. 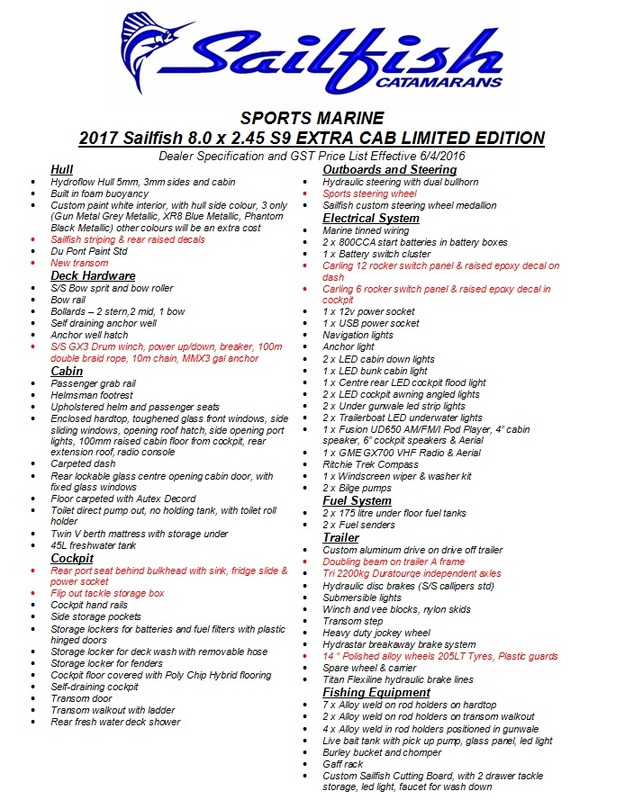 Adding to the already extensive awards Sailfish have won over the years is the prestigious Trade-a-Boat Magazine’s Greatest Aluminium Boat awarded in January 2015 for the S7 model Sailfish Catamaran. 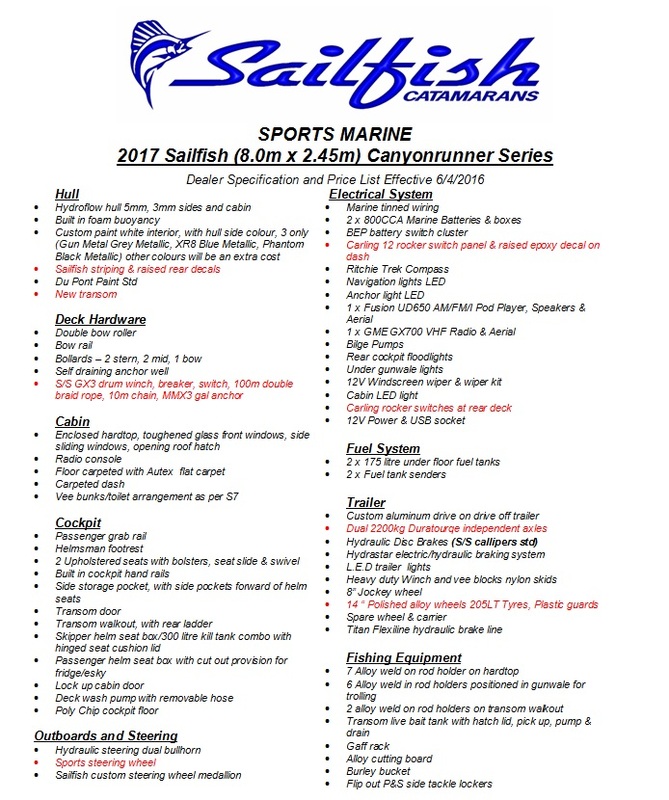 Light and durable, every Sailfish Catamaran is customized to suit you individual needs, style and budget. From the ground up, every Sailfish Catamaran is completely built in-house at the Sailfish factory. 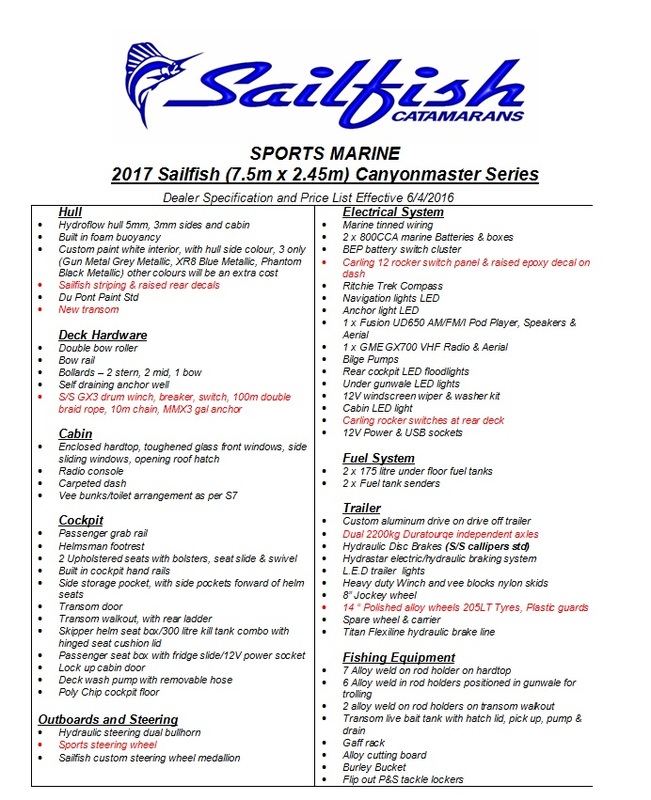 This includes the customized aluminium trailer, full hull construction, custom 2 Pac paintwork, electrical and electronic fit out and custom Sailfish decals. 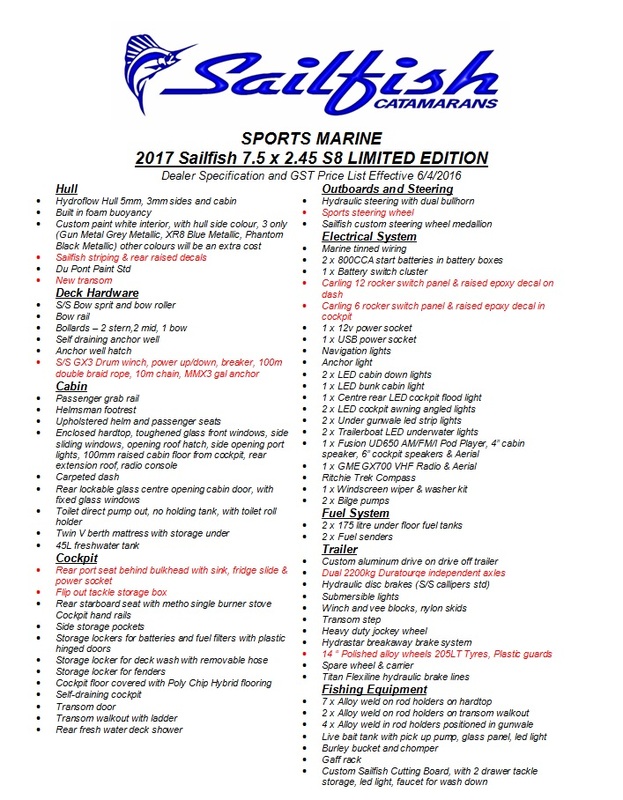 Your boat never leaves the factory during the entire build process so quality control is of the highest level possible. With models from 5.2m upwards there is a Sailfish Catamaran for every possible application. 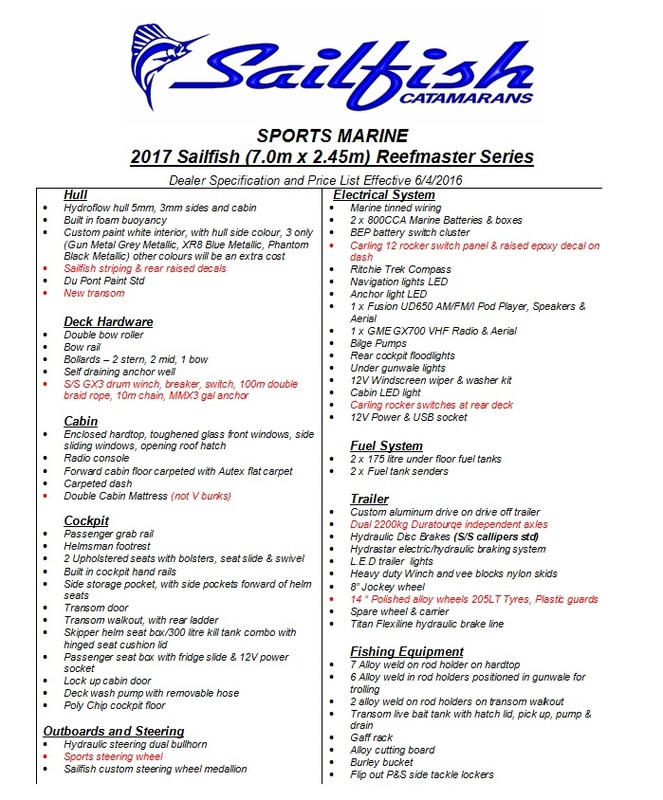 Commercial or recreational, Sailfish Catamarans offer a wide range of models and fit outs for a casual day’s fishing or a live-aboard Weekender with stove, fridge, freezer, air-cond, comfy bunks, stereo and TV for extended trips. 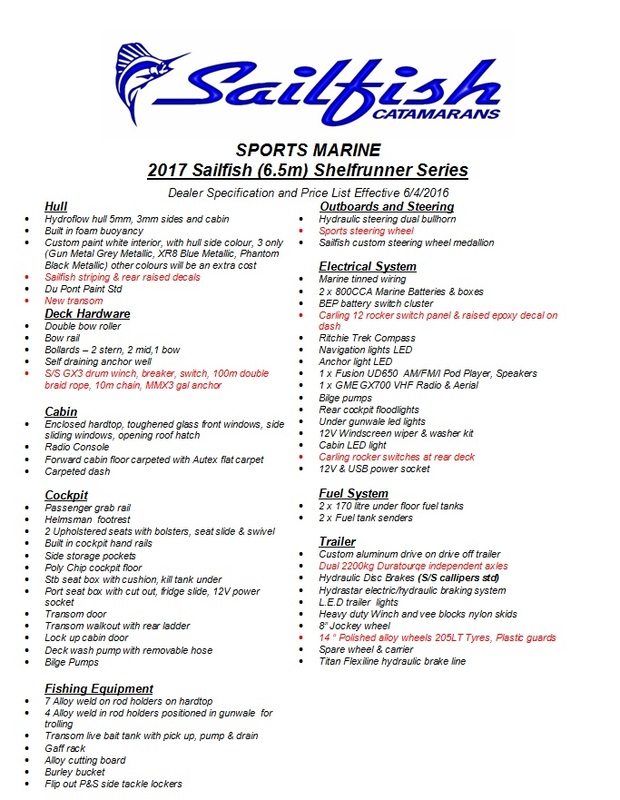 Lightweight aluminium hulls and trailer are easier to tow making Sailfish Catamarans a great option for smaller vehicles. 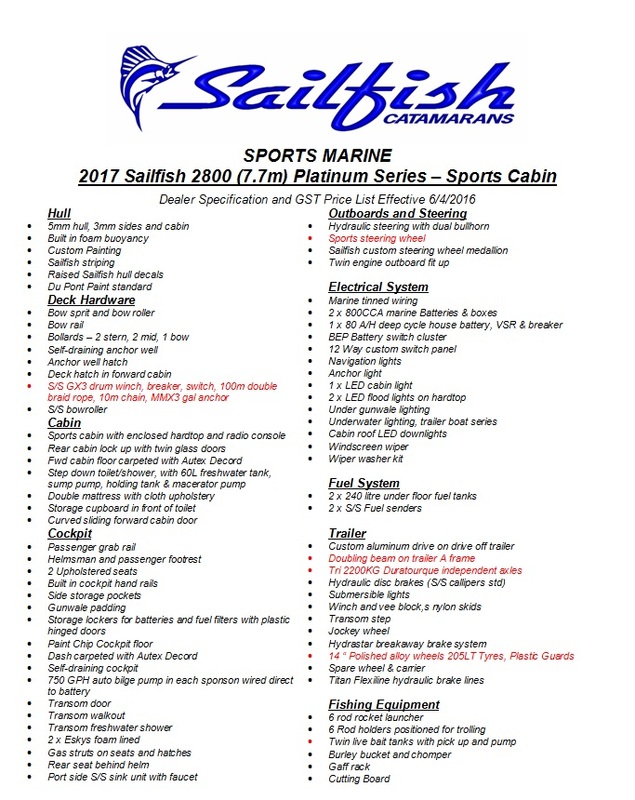 Sailfish Catamarans are a low volume, high quality, hand crafted boat with subsequent excellent re-sale value. 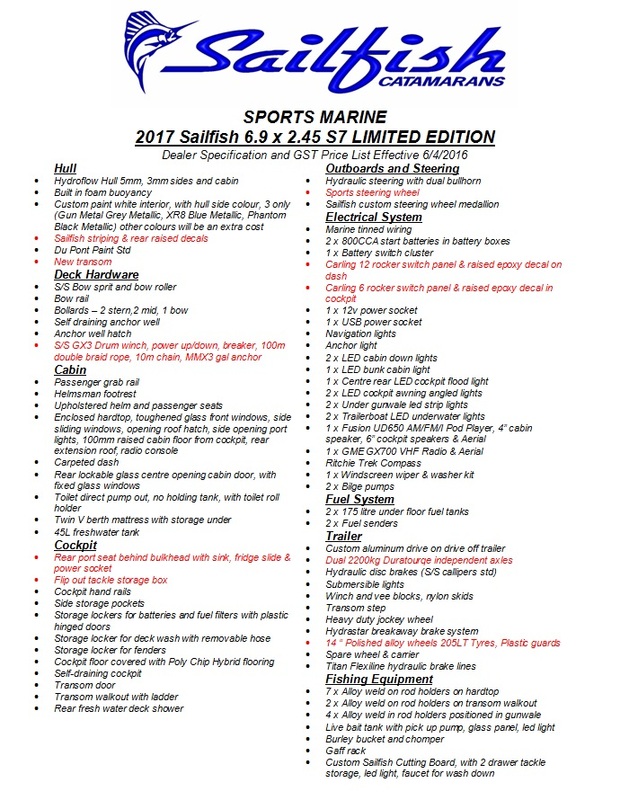 Check out Sportsmarine’s range of Sailfish Catamarans and find out just how good they are.